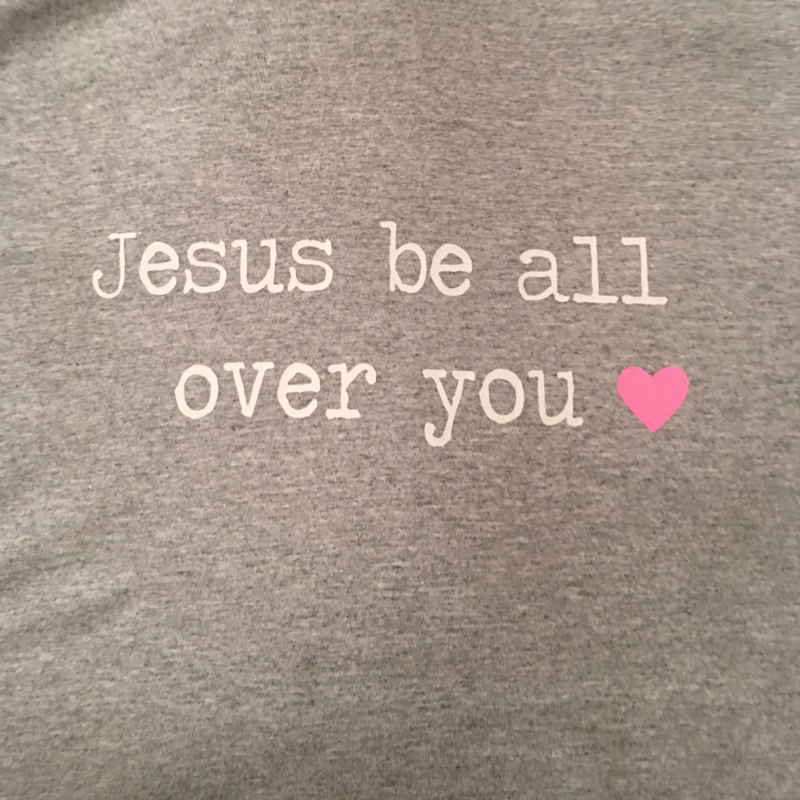 Jesus Be All Over You Screen Printed T-shirt! 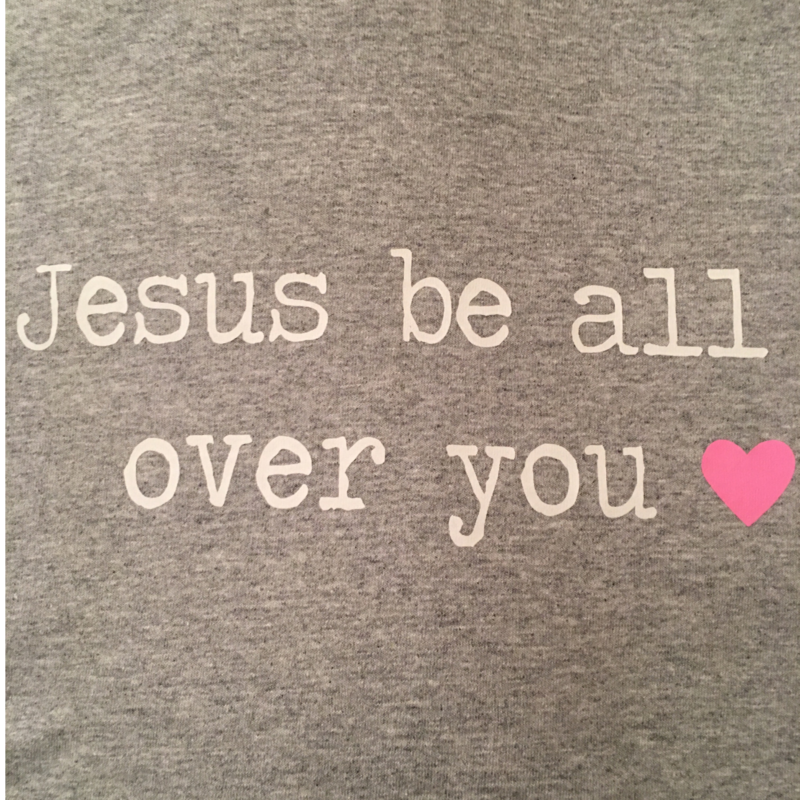 100% cotton pre-shrunk and super soft! 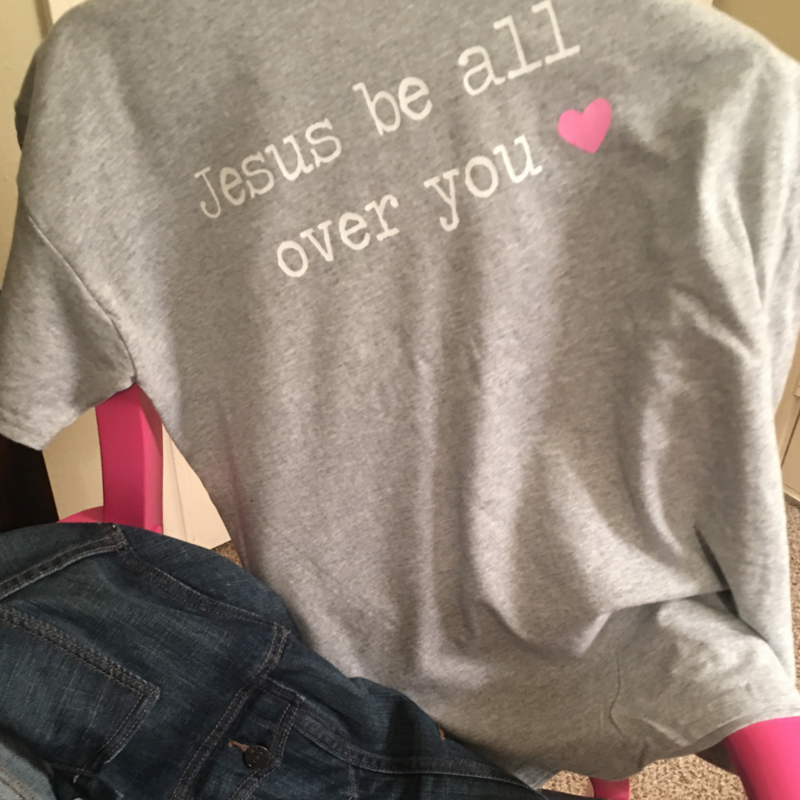 This Gildean T-shirt is comfy and cute! 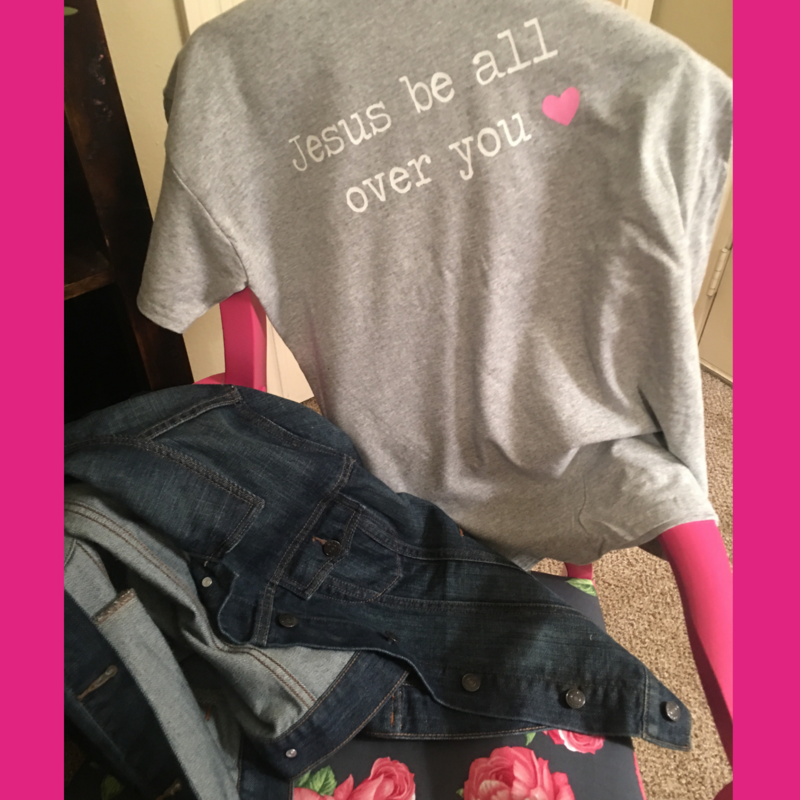 Soft heather gray with a little pink heart share blessings all over everywhere!